Today marks a new day in my breastfeeding journey. Yes, him. My little guy who arrived when big brother was 18 months old and big sister was 3 1/2. He’s turning 2 today. My baby doll, my little boy who has been nothing but pure joy is now two. And that means I’m officially nursing a two year old. Which is weird. Or not. It really depends on who you are and what your thoughts are on extended breastfeeding. But yesterday, he was 1. And nursing a 1 year old isn’t really that strange to most people. But suddenly, he has a birthday and it all gets weird. Or it doesn’t. To me, it doesn’t get weird, or I wouldn’t be doing it. He likes to nurse when he wakes up in the morning, before his afternoon nap, and before he goes to bed. Otherwise, he can go all day without nursing. And if I’m not around, he can totally skip any of those nursing times. I’ve never nursed a 2 year old before. I don’t do well with nursing in pregnancy, in part because I struggle to retain calories when I’m throwing up all 9 months. And since all of my babies have been so close together, this is completely new territory. Suddenly, nursing my daughter until she was 17 months and nursing my son until he was 13 months (and I was 4 months pregnant) doesn’t seem like such a big deal. And honestly? This doesn’t seem like such a big deal either. I know that some people are supposed to think this is strange or make impolite comments about it. But you know what? I’ve never heard it. Maybe my friends are too polite to say anything. Maybe they’re just completely awesome, supportive, and non-judgmental. Or maybe I just don’t care anyway. A third baby will do that to you. But when the controversial Time Magazine cover came out, we all heard it then. “If he can chew food, he doesn’t need to breastfeed.” That comment makes me laugh. Babies are great at gumming and chewing food without teeth. And both the WHO and our pediatrician advise extended nursing for as long as desired. Specifically, the WHO says through the age of 2 or longer if desired. I don’t know that we’ll go longer. I don’t know that I’ll still be nursing in a month. I can see lately that he’s losing interest in it, and that’s OK with me. What about you? 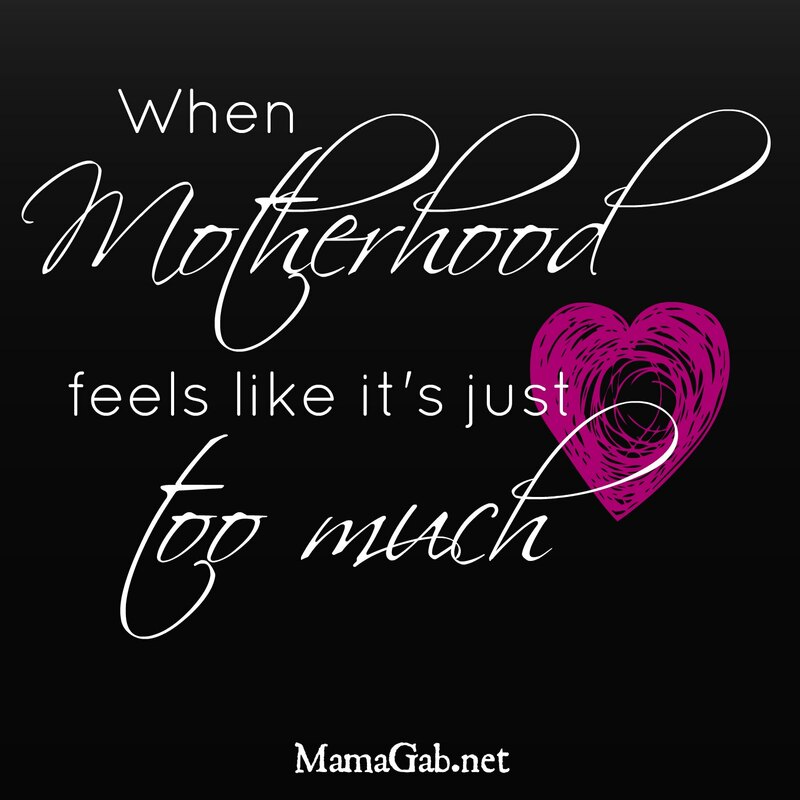 Regardless of how long you were able to breastfeed, did you feel supported in that choice? Or was it even a choice? I’ve had enough breastfeeding struggles to know that you can want it so badly and it can still not work out. I remember that feeling of complete failure. Which was crazy. You’re not a failure if you don’t breastfeed or can’t breastfeed. You’re a mom who loves her babies. Just like me. August 1-7 is World Breastfeeding Week. This year’s theme is Breastfeeding: A Winning Goal for Life. The objective is to emphasize the team aspect of breastfeeding because without a good team, without a good support system, everything about nursing gets hard. Really hard. Maybe too hard to keep breastfeeding. This is what I want to focus on this year for World Breastfeeding Week: Support. I’ve got several interesting posts prepped and ready for World Breastfeeding Week, including guest posts and posts that discuss the importance of your support team. And for you, the mom who wishes breastfeeding would’ve worked out, there’s something for you too. Take heart. I understand the struggles. Go ahead and subscribe to get MamaGab in your email so that you don’t miss a single thing this week! Were you able to breastfeed? Did you attempt extended nursing? I love that you have been able to breastfeed him through 2 years and I love that you are ok with that. You are right, having a third will make you not care what others think! Thank you for sharing this. Thank you! When I had my first child, I would’ve said “ew!” to the thought of nursing past 12 months! It’s amazing how parenthood changes all the things we said we’d *never* do. Congratulations on such an incredible accomplishment! These kind of breastfeeding stories inspire me because God knows it’s not easy! Stopping by from the link up! Tawnya Faust recently posted…Where’s The Pause Button? Thanks for the encouragement, Tawnya! It’s a blessing, really, to be able to breastfeed them at all. It wasn’t easy to make it work with my first baby. Honestly, I don’t think I’ve ever known when I would wean each of my kids. With each of them, as it gets closer to time to wean, we take it one week or even one day at a time. If I were you, I would make a decision that makes both you and baby happy, whatever that may be. Support is of primary importance when it comes to breastfeeding. But not only support for breastfeeding, support for all forms of feeding choices, because as you said, it isn’t always easy or cut and dry. Stopping over from Mama Moments Monday! Thanks, I think you’re right. Support for all mamas and their feeding choices is so important–good mamas make a variety of choices for their babies.